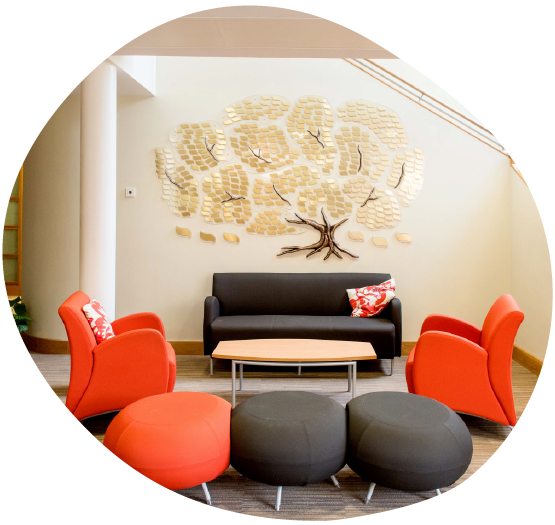 Our beautiful Memory Tree takes pride of place in the reception area at St Giles in Whittington, Lichfield, and is a source of comfort and place of remembrance for many. The tree is made up of 450 brass leaves that can be engraved with the name of a loved one. For a suggested minimum donation of £120, or a £10 regular gift over 12 months, your leaf will be displayed on our Memory Tree for a year. At the end of this period you can either renew your leaf on the tree or we will send you the leaf in a special keepsake box. Once your leaf has been inscribed and displayed you will be invited to the hospice to see your leaf on the tree. It does not matter if the person you’d like to commemorate in this way received care from St Giles or not.